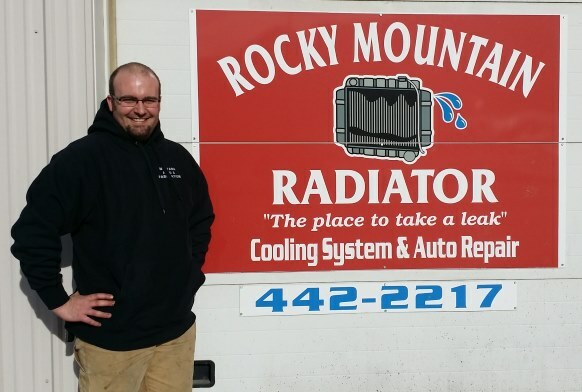 I began working at Rocky Mountain Radiator in 2004, learning the trade and growing my experience before buying the business in 2008. Soon thereafter I opened up the lower portion of the shop to welding and working on off road vehicles. 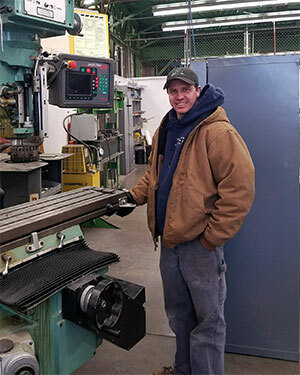 In 2014 the welding shop moved into its own building, opening up the radiator building more to expand and concentrate on radiator repair, maintenance, and custom manufacturing and add sand blasting services to the business. Rocky Mountain Radiator has been a great business to own and operate over the years. We have a strong, dedicated crew working out of the radiator shop committed to bringing you expertise and attention your project needs. I love being able to help customers and specialize in a part of the automotive industry that is underrepresented at most general automotive shops. Hello, My name is Malcolm Rodeck. I am the manager here at Rocky Mountain Radiator. My biggest passion is people! I love helping and serving others any way I can. I realize that a good, reliable, working vehicle is PRICELESS! I take extra care to ensure every vehicle that comes into the shop gets treated with utmost care. I believe in treating a vehicle like it's someone's transportation rather than just another vehicle is IMPERATIVE! I grew up in Jackson Hole Wyoming on a farm. I've been turning wrenches and welding since I can remember. I enjoy anything that drives, but I have a passion for small engines! I'm looking forward to the year ahead, but I'm most excited about our newest venture - Hydrogen Fuel Systems! Stop or call today and see how passionate we are about keeping your vehicle on the road! Hello, my name is Kyle Kimpton. I am the SandBlaster/ Mechanic at Rocky Moutain Radiator and Sand Blasting. I grew up on a ranch in Toston valley most of my childhood watching my father work on all the equipment. 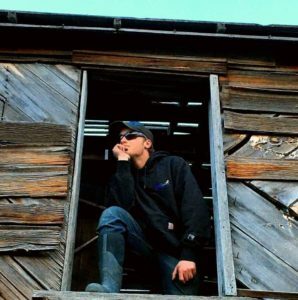 I left high school at the age of 16 and started working on a farm learning more about mechanics and equipment. I am very passionate about the outdoors and I know that it is very important to have a vehicle that can get you to your destination. When we have a vehicle come into our shop I realize that a good job is done correctly the first time and that is what we strive for. Come on in and I will give you a tour of our Sand Blasting set up or get your vehicle back on the road. Remember to be safe and live life to the fullest!! !